Is it time for you to have a full-size truck that provides you with the size and the adventures you want to enjoy? If so, you’re going to love the comfort and capability offered in the new GMC Sierra AT4. This truck isn’t just a model that brings you the features to make it a rugged and impressive truck to drive, its one that reaches a height that allows it to be the right choice when you’re ready to have a lot of fun in the wilderness. Today, you can’t find any basic trucks on the market like we saw in the 1990s. There aren’t any stripped down vehicles that offer you very little in the way of actual power and performance. With many of the impressive features that give you the upgraded features you’ll want when you take a drive, the GM Sierra AT4 can become the perfect choice for you. This truck can be had with the new MultiPro tailgate and it comes standard with the rear Bumper Step which allows you to have easier access to the bed of the truck. The 2019 version of the GMC Sierra is the most refined pickup truck that’s ever been built and badged under the GMC logo. This truck has a ton of features that are part of the standard packaging and the AT4 is a trim that brings you a level of excellence you haven’t seen in the past. This new trim fills the void that GMC hasn’t tried to fill in the past with an off-road pickup truck that gives you the qualities you want when you take a drive. You’re going to love the off-road items that make this the truck for you to drive. When you choose the AT4 trim, you’re going to have more than just a standard set of skid plates for the off-road fun of this truck. This impressive trim gives you a two-inch factory lift kit, an Eaton G8 automatic locking rear differential, red tow hooks, and the power we want from under the hood. Inside, there are impressive upgrades as well with new seats and a set of amazing technology items that can give you the drive you want when you get behind the wheel including the rear camera mirror that projects the view from behind the truck for you. You need a big and powerful engine in order to give you the ride and the qualities you want in a truck that can handle the off-road fun you’re looking for. The Sierra AT4 is powered by the 6.2-liter V8 engine that’s attached to the amazing ten-speed automatic transmission for the drive. You know that with this power, you’re going to have 420 horsepower and 460 lb.-ft. of torque for the drive that will be ideal for you when you head out to the trails in your area. As the trim level that’s second from the top, the Sierra AT4 can be had with all of the features that would be found in the Sierra Denali except for the real wood trim. Experience the incredible quality offered in the cabin and let the AT4 be the truck that will provide you with a dynamic and excellent drive that’s perfect for you. This is the truck that can actually handle all the trails you want to drive on and make it possible for you to have the comforts you’re looking for. Make the right choice when you want the truck that will allow you to enjoy the drive you’re looking for when you head out on the trails. 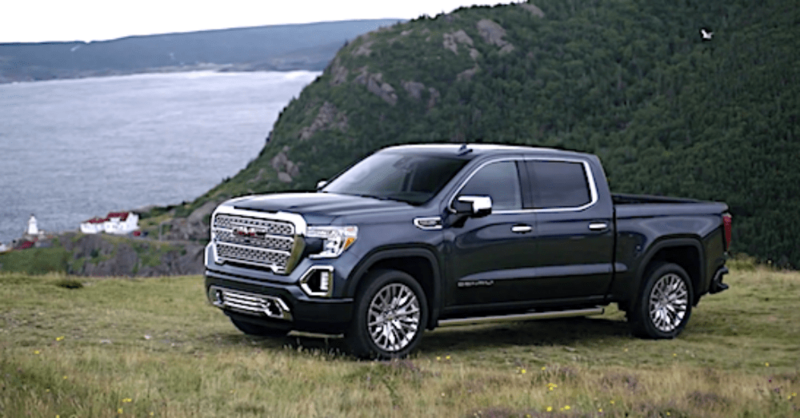 The 2019 GMC Sierra AT4 is the truck that brings you more of what you’re looking for with the equipment that makes a lot of sense for you. Travel to your favorite trails and outdoor location in the AT4 and feel the power, comfort, confidence, and capability this incredible monster can give you so that you can experience the adventures you want to enjoy. Find one at your local GMC dealer today!